Hello and welcome to the weekly Whitenoise, Hackerspace, Groupthink, Powder Room, Odeck, Tay, Oppo, Backtalk, Clashtalk, and CrossTalk cross thread! It’s (finally!) starting to cool off for most of us, so here’s something to keep warm as the temperature drops. After the events of this week, let’s discuss something that we can all get behind. Food! Most everybody has a favorite cold weather food that they enjoy. 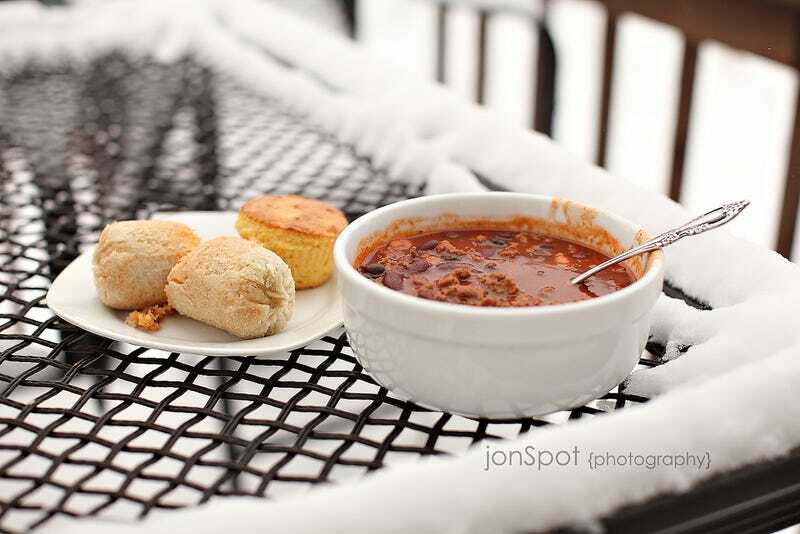 From chili to soup to whatever you fancy, some things are just better when served on a cold day. So what’s yours and why do you enjoy it? If it’s something you enjoy that is year round, no worries. Feel free to share that as well. As eclectic as we all are, I am sure there will be some interesting (and very good) ideas! I love to cook, so I am always looking for new things to try. Feel free to discuss any other topics that you feel may be of interest to other groups, but we do ask that you please be respectful and (especially this week) refrain from bringing up politics. Also, if anybody wishes to host a cross thread, please comment below and Story645 will be in touch with you. Thanks again for allowing me to host this week!